"The Phantom of the Opera" (1925) is a horror drama starring Lon Chaney and featuring Snitz Edwards, a star of Silent Hall of Fame. 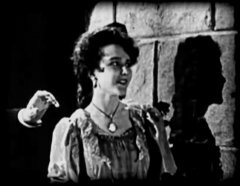 One of the first of the classic Universal horror films, "The Phantom of the Opera" remains chilling almost a hundred years later. Taken from the literary classic, the film deals with a deformed man who falls in love with an aspiring opera singer and will do anything to obtain her. Produced by Universal at a time before horror became the fledgling studio’s forte, the project was given to Rupert Julian; one of the underappreciated talents of the silent era. He virtually created the Universal horror film in a little over an hour’s screen time; using shadow, a sense of claustrophobia, dark atmosphere, and large doses of suspense to terrify his audience. Julian also provided the first great horror moment in the unmasking of the Phantom, a moment that gripped back in its day, continues to scare in face of modern day gore and effects, and will probably maintain its ability to build suspense for years to come. 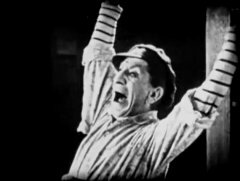 This was also one of the first horror films to sympathize with its “monster,” thanks in no small degree to the poignant, gripping performance of silent superstar Lon Chaney in his trademark role. With sunken eyes, no nose, and a skeleton like appearance; Chaney can nevertheless express every emotion flawlessly, developing a creature far more complex and tragic than the people he’s up against. Though he seems more sad than horrifying today, during the unmasking Chaney can still send chills up the spine of anyone; proving why the ‘man of a thousand faces’ was so highly regarded in his day and still has a sizeable following. 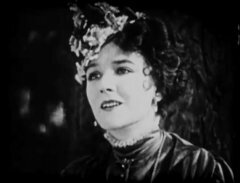 Mary Philbin is typically pure and innocent as the opera singer he falls for, Norman Kerry is her love interest. 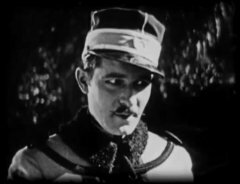 Gibson Gowland, of Greed, has a brief role, as does the renowned silent character actor Snitz Edwards. This is Chaney’s show all the way, though, and he managed to catapult it from traditional melodrama to the realms of horror classics; its still one of the most famous and influential films the genre has produced. The film is ranked number 20 in the list of The Top 100 Silent Era Films of the influential website Silent Era. "The Phantom of the Opera" was selected for preservation in the National Film Registry as being "culturally, historically, or aesthetically significant" in 1998. 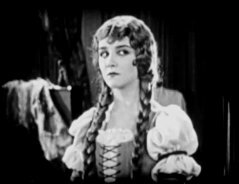 Mary Philbin is promoted professionally by an unknown force in "The Phantom of the Opera" (1925). Mary Philbin has Norman Kerry worried in "The Phantom of the Opera" (1925). Mary Philbin keeps her distance from Norman Kerry in "The Phantom of the Opera" (1925). 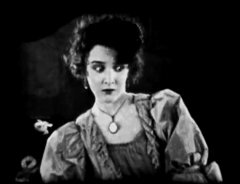 Mary Philbin tells her beau to leave her alone in "The Phantom of the Opera" (1925). 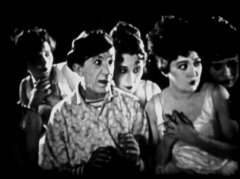 Snitz Edwards and ballet girls listen to a horror story in "The Phantom of the Opera" (1925). Snitz Edwards believes that he has seen a ghost in "The Phantom of the Opera" (1925). Mary Philbin is excited to meet her unknown protector in "The Phantom of the Opera" (1925). Mary Philbin is terrified after unmasking her unknown admirer in "The Phantom of the Opera" (1925).